God help me, I just had to have another go at this guy. Download the soundfile HERE. UPDATE (6/25/07): Joe introduces his friend Ian Tabbott for another hour with Vyz on the Grassy Knoll. Ian discusses the state-of-the-art weaponry he encountered in his Army experiences. Download this amazing program HERE. Our friend Joe DeRosa, author of THE REALIZATION, appears this week with Vyz on "The Grassy Knoll" to discuss the essay, the experiences and reflections that inspired it, and many other observations occasioned by nearly two decades in prison. This unprecedented interview is available for listening or download HERE. See also our dedicated FREE JOE DEROSA blog. I'm unaware of any reasonable hypothesis for why, if the 2nd WTC aerial impact was mere virtual-aircraft video fakery, was there also a flash-frame, just very much muted compared to the first. Why video-fake that (or the apparent partial exit of something)? I don't rule out [some serious kind/level of] video fakery but, as with thermite, I do not believe that it can account for all the evidence, particularly the flash frames, nor some eyewitnesses who said they saw smaller-than-Boeing aircraft. As always, we can chase our tails endlessly wondering what 9/11 was, long after we're able to prove that it was not what we were told. Zwicker's lies do for Bush's repeated voluntary incriminating 9/11 witness statements -- get them disregarded. At this late date, I am loath to jump on any bandwagons. I'm sure Herb feels the same way. And my skin crawls when I look at some of the truly strange bedfellows given a shout-out at the end of that video. This video fakery crew, whatever the merits of their arguments, have that "either you're with us or against us" mentality that (in this case) makes for a pocket-sized mini-dialectic. And some, like Nico, take an infantile delight in playing with feces. In the scheme of things, "video fakery" is moot. It might have been all part of the high-tech magic show, but it's not integral to the way the buildings were destroyed. It's a distraction, proving only that (surprise, surprise!) the Media are rotten. It's also true that many of the people saying the Media are rotten are themselves rotten. There are additional comments forthcoming, and there are more comprehensive "video fakery" videos I may post soon. Watch this space. Note how, at 2:22 from the end of Part 2, the "missile" seems to grow a tail and a right wing as it hits the building! Who's faking here? 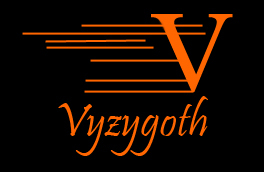 DAVE FROM 911 BLIMP ON VYZYGOTH! Dave (who operates the 911 Blimp site) appeared on Vyzygoth's "From the Grassy Knoll" last week with a discussion of the physics of 9/11 and the plausibility of exotic means of bringing down the WTC buildings that we highly commend to your attention. No dogma, hyperbole, or jumping to conclusions here, but after hearing Dave the thermate-only hypothesis begins to smell like a limited hangout. Download the program HERE. The only way to save America is to turn the power pyramid on its head and decentralize everything to the hilt. But that's not about to happen, of course. It's a train wreck, people. Who brought the popcorn? Or so it would appear. He'd better be able to substantiate these claims, or he's in for a world of pain and litigation. There must be something in the water in Arkansas. He said he's "150 percent" behind Bush on the war in Iraq. "At the end of the day, I believe fully the president is doing the right thing, and I think all we need is some attacks on American soil like we had on [Sept. 11, 2001], and the naysayers will come around very quickly to appreciate not only the commitment for President Bush, but the sacrifice that has been made by men and women to protect this country," Milligan said. I just couldn't stand it no more. So I had to let Dave "Milieu" Emory have it, in characteristic fashion, at THIS LINK. Herb and I appeared with Vyz on "The Grassy Knoll" Friday with the object of deconstructing the lies and distortions of Schnitt, a Neo-Con yakker out of Tampa. This show is available for download at this link.